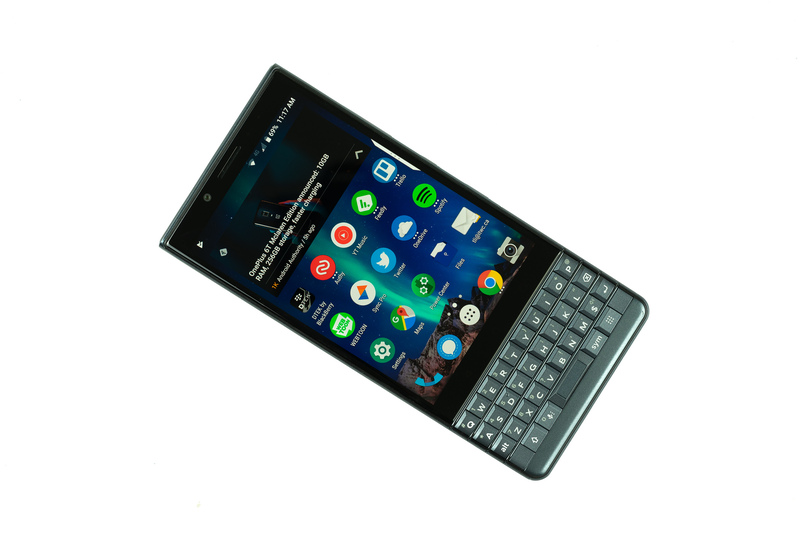 The BlackBerry Key2 LE brings robust security and fantastic physical keyboard to a palatable pricepoint. Though its hardware struggles with gaming, it has no problems handing day-to-day business use cases. Camera performance is better than the previous generation, but it still falls way short relative to other smartphones. Unfortunately, the keyboard does get in the way when using the phone in landscape mode, forcing the user to stretch the thumb. Also, those who are used to larger displays will feel cramped with the Key2 LE’s 4.5″ IPS display. An IP rating would provide extra reassurance, but considering all the seams around the keyboard, it’s just not possible to implement yet. The BlackBerry name invokes a sense of nostalgia. Not only was the BlackBerry Torch 9800 my first ever phone, the BlackBerry messenger also used to be the golden standard for instant messaging. Since then, BlackBerry phones have seen some major changes. Firstly, its shifted its operating system to Android, and secondly, production is now handled by TCL instead of RIM. But two features has persisted throughout the years: a focus on security, and the physical keyboard. They set the BlackBerry phones apart from other flagship phones in both design and function. BlackBerry released its newest flagship, the Key2, back in August. And now, the Key2 LE is here as well, lowering the entry point for users looking to upgrade to a more secure phone. 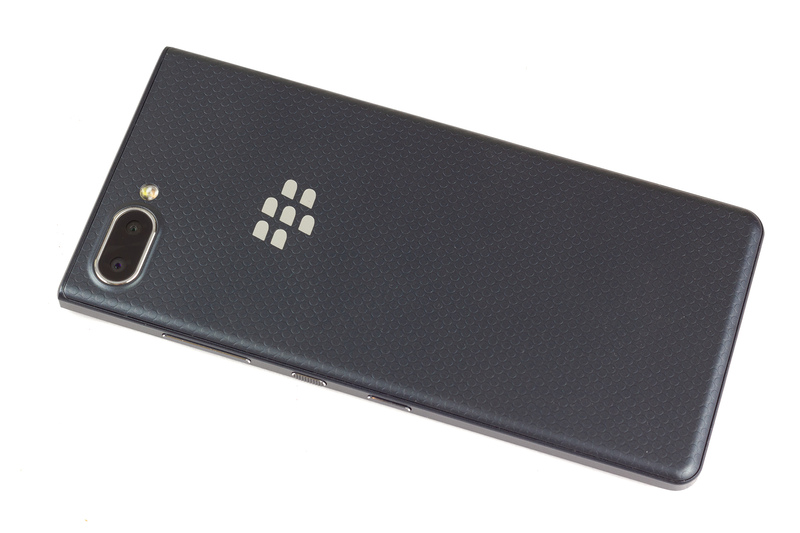 Manufactured by TCL, the BlackBerry Key2 LE is BlackBerry’s mid-range phone. As such, it’s not overly generous in its use of premium materials. The entire phone – save the display and the aluminum band – is crafted from plastic. Nevertheless, it’s more durable than I expected. Even after weeks of rough handling without a case, I only saw tiny scratches on the corners. Still, I’d guess that it would have a hard time against drops, which could be why the back is coated in a soft touch rubber finish to reduce slippage. Even if we ignore the keyboard, the BlackBerry Key2 LE deviates far from today’s phone trends. Whereas most high-end phones pursue smaller bezels, more glass, and thinner profile, BlackBerry just doesn’t care much for them. Beauty is within the eyes of the beholder. Depending on your preference, you may find the Key2 LE’s sharp, straight-cut edges to be glaring. In addition, the thick top bezel and the capacitive touch buttons clamp down on the already cramped 4.5” display area. The glass has been extended up to the top edge, though, so the front looks more unified than the KeyOne. The base is home to a USB-C connector and a single speaker as the sole audio output source. It packs enough power to fill a small room, but will definitely struggle in a group conference call in a boardroom. Luckily, it comes with a 3.5mm headphone jack to connect to an external audio device like wired headphones or an external speaker. A key upgrade is the dual camera array. A new f/ 2.4, 5MP lens now accompanies the f/ 2.2 12MP primary lens. The second camera isn’t used for shooting or zooming, but rather as a depth sensor to help create better depth of field. The real highlight, however, is BlackBerry’s signature physical keyboard planted in the bottom. BlackBerry’s signature keyboard is slightly overhauled compared to the original KeyOne. 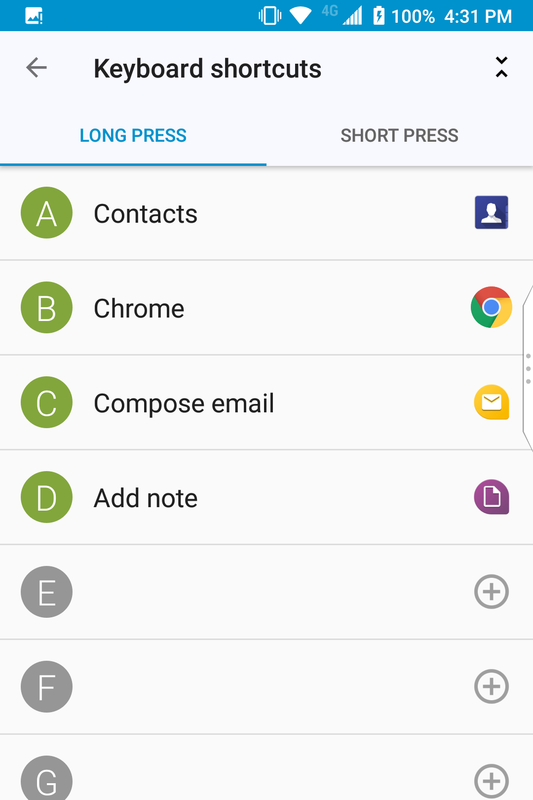 The right Shift key has been replaced by a quick shortcut key which, when pressed in conjunction with a key on the keyboard, activates a shortcut to launch an user-selected app choice. The fingerprint sensor is still firmly embedded in the space bar. For a mid-range phone, the Key2 LE’s IPS display is more than acceptable. It has great colors, and is just bright enough for use under sunlight. Resolution is capped at a modest 1,620 x 1,080, but because they’re packed into a smaller display area, it still amounts to 434 ppi which is still well beyond what the eye can pick apart. It’s not the quality of the display that bothers me, it’s its physical dimensions. Whoever said size doesn’t matter has obviously never watched a YouTube video on a 4.5” display with a 3:2 aspect ratio. Using it in landscape produced thick black bars at the top and bottom of the video, further reducing viewable screen area. Content appears cramped, stretched, and at times, difficult to discern due to the shrunken size. Embedded at the heart of the Key2 LE is a conservative Qualcomm Snapdragon 636 system-on-chip (SoC) with eight ARM-based Kryo 260 cores and the Adreno 509 GPU. Qualcomm’s 600 series SoCs are designed for mainstream performance and balances between fluid every day use and battery life. As such, I’m not expecting record-breaking benchmark scores here. The Key2 LE scored 1,327 in single core performance and 4,799 in multicore performance. 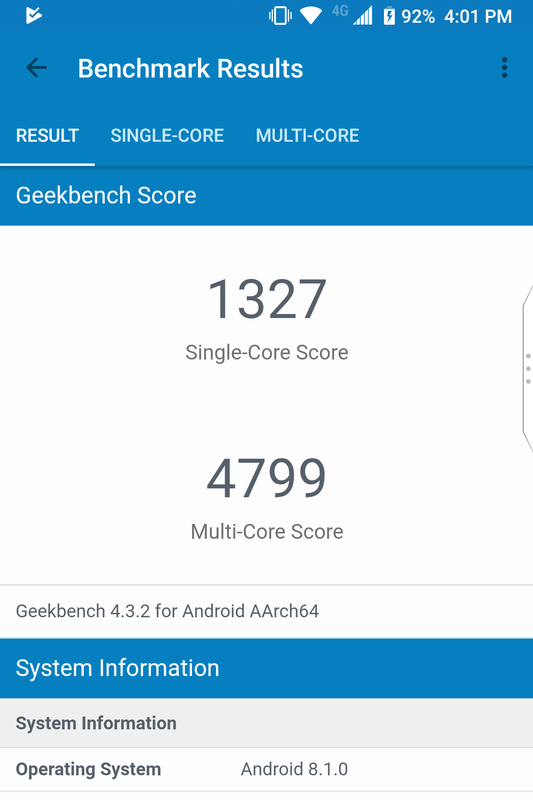 In comparison, the Snapdragon 845 nearly doubles its score. 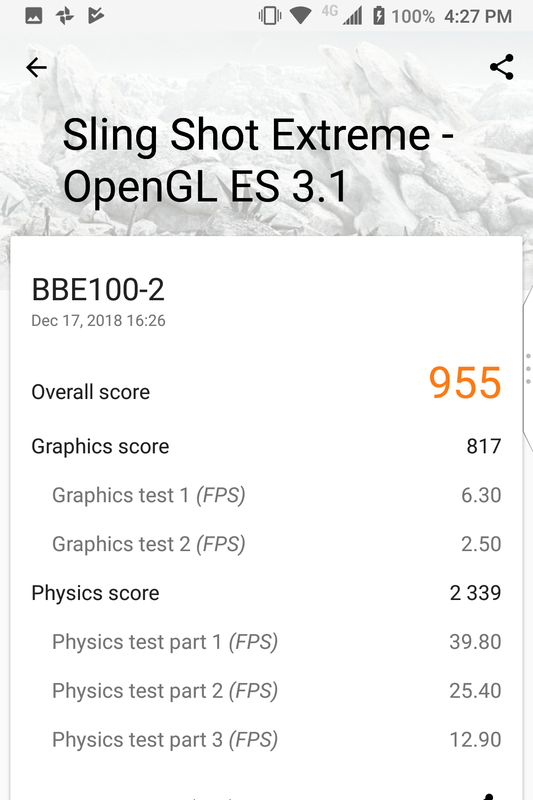 Watching the BlackBerry Key2 LE push through 3DMark Slingshot Extreme is akin to viewing a slideshow. At its best, it averaged out 6.3 frames per second in the graphics score. 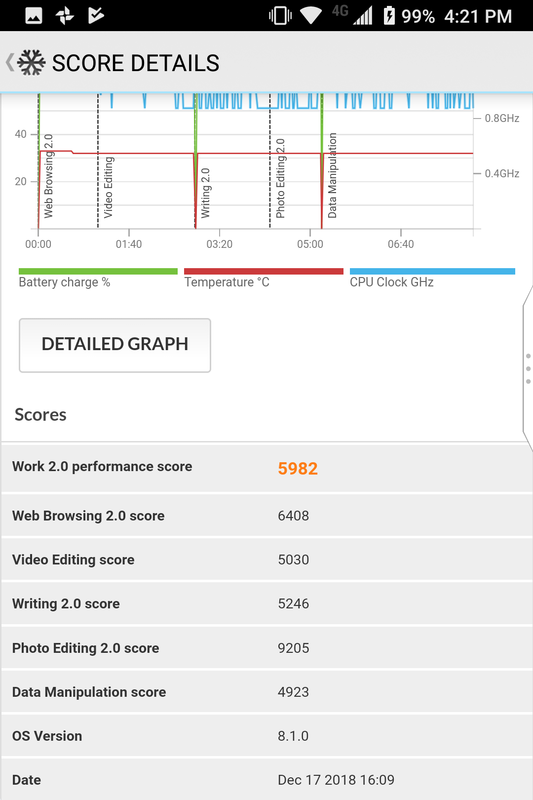 The Key2 LE finished Work 2.0 with a score of 5,982, a far cry from most other flagship phones. In day-to-day use, the BlackBerry Key2 LE handled most productivity task fairly well despite its anemic 4GB RAM buffer. The OS does complain about running out of memory from time to time, and when it does, the phone can stutter and freeze for short periods. The base model comes with just 32GB of storage. If you want to store pictures and music locally, then you’ll be starved for space in no time. Make sure to install a microSD card if you’re looking to purchase the cheapest option. 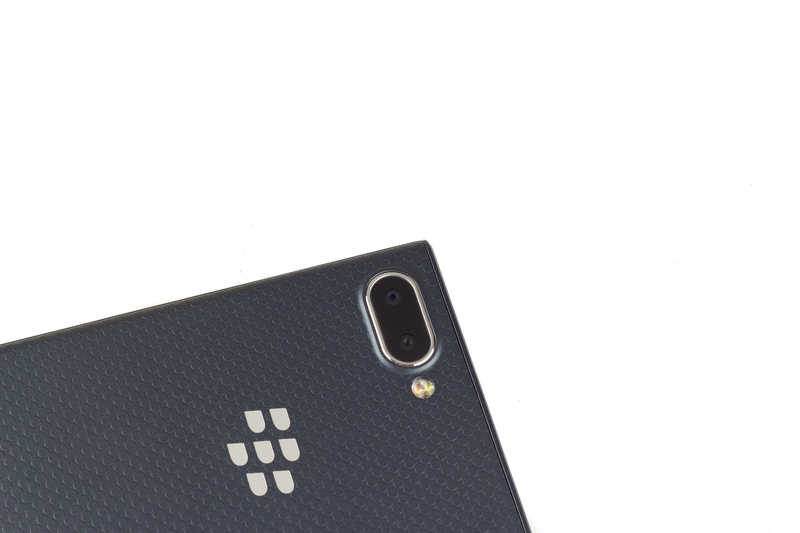 The austere look doesn’t deter BlackBerry designers to install a secondary camera, but unlike the setup on the BlackBerry Key2, the second sensor on the Key2 LE is strictly a depth sensor and can’t be used independently. Interestingly, the depth sensor only activates when shooting in portrait mode. When shooting in normal mode, it does nothing in improving the depth of field. My overall impression of the camera is mediocre. Most details appear hazy and soft, especially around the borders of the picture. While hair strands on my cat are palpably distinguishable, needles on the pine trees appear soft and poorly defined. It also has trouble maintaining the same detail level in highly-saturated areas and shadows. Its shutter speed also slows significantly when the lighting gets even slightly dimmer. In the shot of a local mall’s Christmas booth, the slow moving crowds are blurry despite there being ample room lights. I would conclude that the camera has an acceptable quality level for daytime use. Despite its mediocre picture quality, the Key2 LE does have snappy autofocus. The camera employs phase detection autofocus, a technique that calculates the phase alignment of the captured image to determine sharpness. In most conditions, it’s considered superior to contrast autofocus. At night, the BlackBerry Key2 LE’s camera becomes even less usable. There’s tons of noise in night shots, and objects appear hazy and blurry. Oh, be sure to have a steady hand, too, as it can take nearly half a second to capture a shot. The front camera is subpar – and that’s putting it nicely. 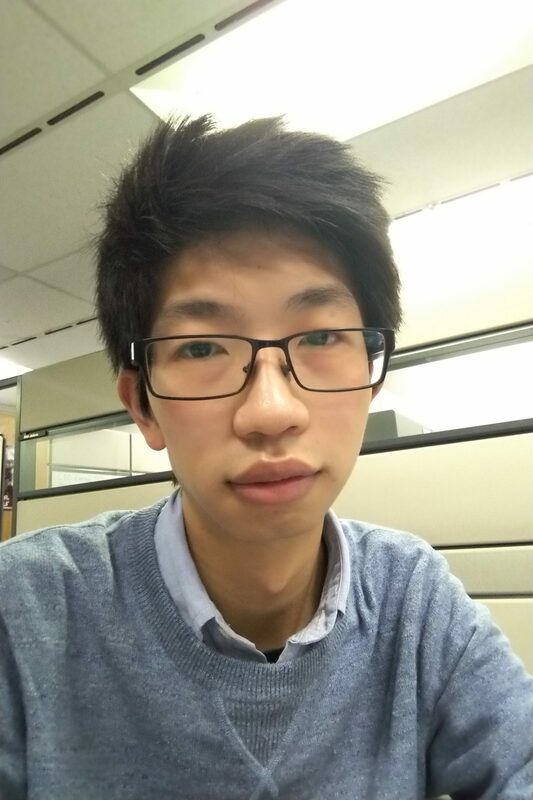 Image quality is again subpar, and since the sensor isn’t stabilized, it can take a few tries to get a clear picture even when there’s ample lighting. This shot took me three tries. Activating portrait mode wakes the 5MP depth sensor that’s supposed to help create better depth-of-field. This is the most primitive form to generate a blurry background. When implemented correctly, it can produce some decent results. Unfortunately, the Key2 LE is the exact opposite. Background blur is inconsistent and spotty, which indicates that the sensors can’t accurately compute the distance of objects. BlackBerry proudly touts that the Key2 LE is the “most secure phone ever” and even appends it in its mail app. That claim isn’t unfounded. 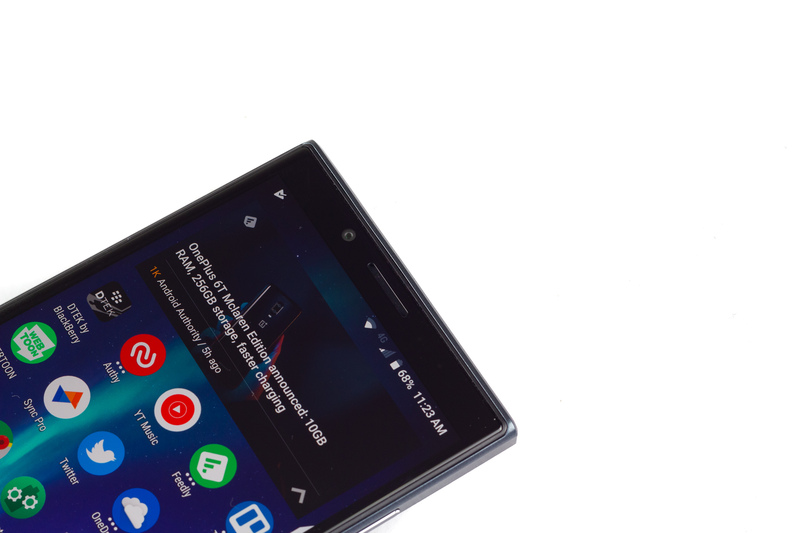 BlackBerry has been crafting security focused phones for years. 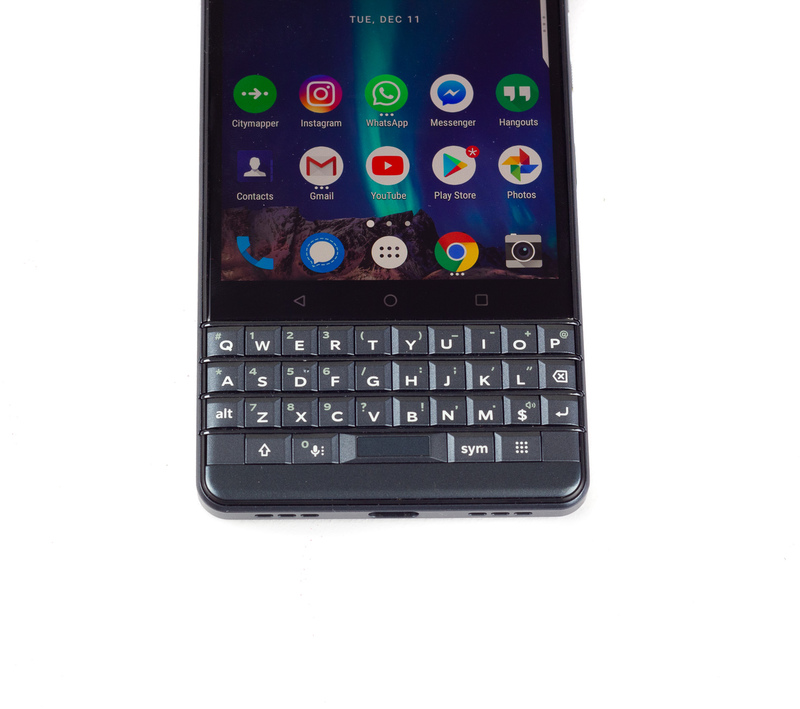 The Key2 LE is decked with safety features both in hardware and software. 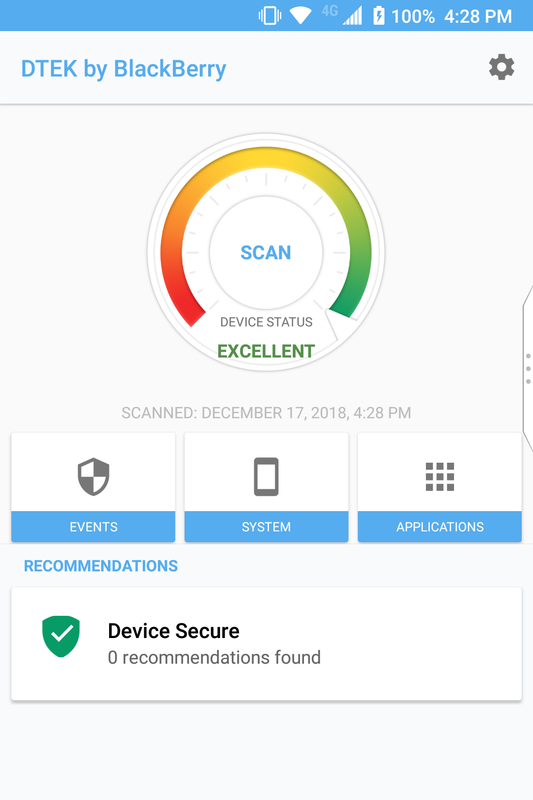 From a user perspective, the two most active security apps are DTEK privacy scanner and Locker secure storage. DTEK records when an application accesses highly-private sensors (microphones, cameras, etc.) and prompts the user to take action when an app oversteps its boundaries. Locker, on the other hand, is an encrypted safe storage space to store sensitive photos and documents. Locker also disables the screenshot feature, thwarting any cheap attempts at stealing info. There are other niche privacy features as well. Privacy shade blacks out the entire display and only enables a small area to prevent over-the-shoulder peeking. It even has a Redactor tool that lets you hide sections of the screen before sharing. All of that, and I haven’t even touched on all the invisible hardware level and system safeguards like immediate patch updates, bootloader integrity check, and extra protection for wireless connectivity. Check out the official feature overview for the full list. Fortunately, usability hasn’t been affected despite all the focus on security. Several workflow features aim to reduce navigation time. 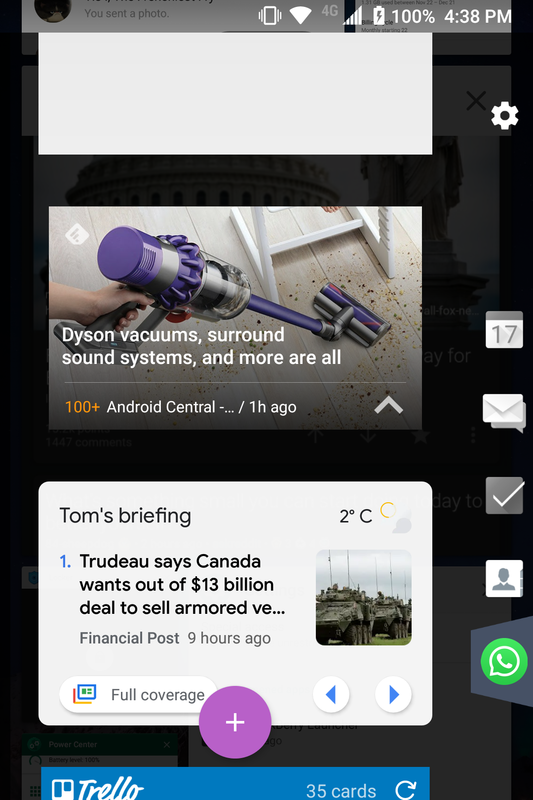 The BlackBerry Hub condenses widgets and notifications into a single tray that can be activated by swiping in from the edge. Dual App lets you sign in to two accounts on the same app, great for when you have a personal and work profile for social media. The keyboard can do more than just type. Each key doubles as a hotkey that can launch an app. This seemingly simple function can be far quicker than digging through the phone to find the icon – provided you can remember which app is mapped to which key. I personally have seven keys mapped and use them frequently. Disappointingly, the keyboard isn’t touch sensitive like it is on the Key2. Since it has a smaller display, I feel like having more touch surfaces would be beneficial. Thanks to the extra footprint provided by the keyboard, there’s enough room for a solid 3,000 mAh battery. When paired with a power efficient chip like the Qualcomm Snapdragon 635 and a smaller screen, its runtime easily goes through a full day. During the two weeks that I had it as my daily driver, the Key2 LE consistently lasted between five and a half to six hours. The only thing that could’ve made it even better is an OLED display. Although, given the phone’s price, this is an acceptable compromise. With an abundance of niche features, the BlackBerry Key2 LE is in a league of its own. It caters to a completely different crowd than the phones we’ve reviewed thus far. Whereas most phones attempt to gain the favor of the masses, BlackBerry phones target just three types of users: those who need the best security, those who want a physical keyboard, and those who are die-hard BlackBerry fans. Its only real competition comes from the original BlackBerry Key2. For $300 more, you get a higher capacity 3,500 mAh battery, 2GB more RAM, a slightly faster Qualcomm Snapdragon 660 SoC, and 64GB starting storage. The keyboard also detects touch input. If these features are important to you and the price is no issue, then it may be the better choice. Then there’s the entire roster of touchscreen phones. There’s no comparison here; you either love the keyboard or value security enough to use a BlackBerry, or you’re going to crave a big screen and stick with a touchscreen phone. I personally can’t bear to trade off the Pixel 3 XL’s large display for the BlackBerry Key2. My lukewarm attitude towards the BlackBerry Key2 LE didn’t change after two weeks. It’s definitely decent, great even, but it’s just not for me. Who knows, maybe I’ve been too spoiled by fully touchscreen phones to settle for the Key2 LE’s 4.5″ display. With that said, I absolutely do appreciate its wide gamut of security features. The keyboard’s tactility and functionality were both practical and pleasant to use. Because of its design, I had to type more deliberately, which was a bit annoying at first but ultimately led to fewer mistakes. Being able to feel the keys as I glided over them helped with accuracy as well. Furthermore, I loved being able to swiftly launch apps at the press of a key. Now that I’ve rolled back to my Google Pixel 3 XL, I actually do miss it quite a bit. In the end, the BlackBerry Key2 LE is a phenomenal offering for the crowd it’s designed for: faithful keyboard user who want that extra level of safety. The fantastic keyboard and layers upon layers of security safeguards make the BlackBerry family an excellent – and sometimes the only choice – for handling sensitive data. If it was somehow dust and water resistant and had a better camera, it would be an instant recommend in my book.